FishCraft is a 21 and over Vanilla SMP server, we aim to have fun and enjoy Minecraft as is meant to be played. 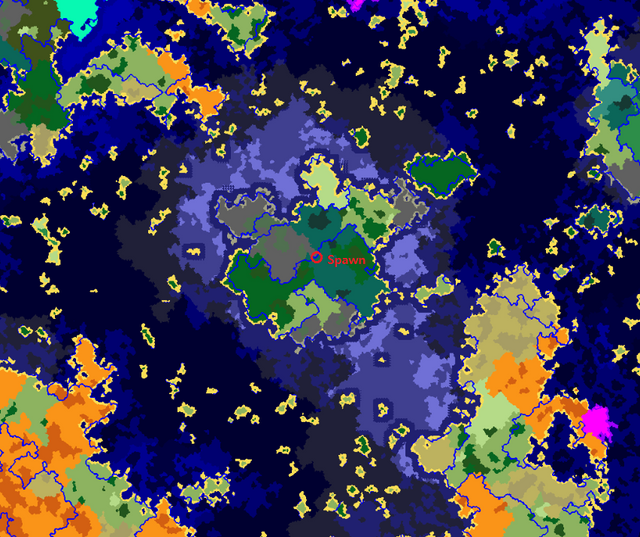 As 1.14 is about to be release, we want to find other people to play with and for this reason we are opening a smp server to play with others which we hope will last a long time.We are excited on doing projects as a community and also build our own bases while maintaining a close-knit community by not just a minecraft server but as a group of friends. FishCraft is a small server that is pretty laid back and we enjoy a good laugh, however there are certain boundaries you must not cross, otherwise you will be breaking our servers rules. If any of the rules listed below are broken, punishments may take place. The punishment will depend on how bad the offense committed is. 3. No cheating or hacked clients. We are still looking for more friends to play with. Feel free to apply and check out our discord if you want to join. We are still looking for more players to play with on the server. We are starting to get 2-4 active players thru the day but we are hoping on getting more than that playing. Thank you :D, we started the world/server a few days ago so we are still building. I was about to join but yeah.. 21+.